Republication and/or copying of any part of this interview on other websites, blogs, forums or at other publications is prohibited without the written consent of Ken Sweda. This discussion took place in February 2011. Angelo DiBernardo is a champion in more than one sense of the word. 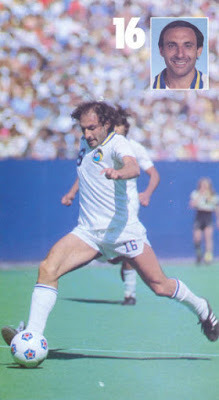 The Argentine-American is a former US Men’s National Team soccer standout and played alongside some of the world’s greats in the New York Cosmos jersey on a team that won the 1980 NASL Soccer Bowl. But he is also a champion of the sport itself, and continues to teach and promote the game in the US from his home base just outside Chicago. He is now a high school Spanish teacher and coach of the boys soccer team at Waubonsie Valley HS, and co-owner of America’s Soccer Club. I recently had the privilege to sit down with the man in his element, on the bench during an in-house youth scrimmage at his club’s indoor soccer facility, Just For Kicks in Naperville, Illinois. Angelo’s enthusiasm for the game was drowned out only by the sounds of young people enjoying the beautiful game themselves. And so we began our discussion. KS: So, the Cosmos. Have you been following their efforts and marketing campaign to enter MLS. ADB: No I have not. I know through some of my past teammates like (Hubert) Birkenmeier and (Andranik) Eskandarian who still reside in NJ and NY that there is an English group that has come in with money and bought the name and are trying to put the club together starting in the 2013 season. I know they have (Eric) Cantona as the President. The way I see it Pele’ is going to be a figure, not a decision making guy. He never was even with Warner Communications. He did a lot of public engagements, he would go on tour with us. And do a kickoff here and there. That was the extent of his involvement. KS: Is it premature to be getting people on board, since they couldn’t enter until at least 2013 as RBNY have exclusive rights to the NY metro area? ADB: I think the longer they give themselves, and the stronger the league gets, it will be a better situation, instead of throwing things together in a rush. I really don’t want to see that happen. And I hope there is a lot of money behind the name. I hope it’s not a situation where these guys come in…..well, they better be prepared to lose money. Because professional soccer doesn’t make money in the US. I hope they put a lot of money into it and do it right. KS: Do you think they have a better chance to make money, or make it sooner, based on the Cosmos name and its legacy? ADB: No. If they want to simulate what the Cosmos were, and I’m sure there will be a lot of people that expect that, not here, but abroad…because fortunately or unfortunately, however you want to look at it, the name of the Cosmos is still around. People remember it, they remember that (Franz) Beckenbauer played with them, that (Johan) Neeskens played with them, that Johan Cruyff did some exhibitions with them. People remember that (Giorgio) Chinaglia was with them, and (Vladislav) Bogicevic. Those are big names and they had a big following. Especially in NY and abroad. But if they think that the name itself is going to draw and make it happen, I think that’s a mistake, that’s my opinion. KS: They don’t have the luxury of pulling in that kind of talent this time around, given the MLS restrictions on foreign players and salaries. So there better be something more than the name and what it used to be. ADB: I think they can get it done in a different way. In my opinion, this is how I would do it. I would certainly spend the next two years looking at very young talent, 20, 21, 22 years old, but not necessarily from the States. I would look to get 2-3 kids that are the best prospects at that age, from Brazil, 3 kids from Columbia, 3 kids from Argentina, 3 from Holland. You won’t have to pay them the millions of dollars that the best established professionals are paid, like Ronaldo or Messi, or Beckham. To me, that is wasted money. And if you want to develop the game in the States, you also have to use the local talent. And pay the local kids some money. So Beckham’s salary is the budget for one or two franchises. And he didn’t turn out to be what they thought he would be. He was going to fill all these stadiums all the time, all these commercials, all that. It happened, it lasted maybe two or three months, and then it was done. You know, the US just is not built that way. So that’s how we should do it. Pay the kids a (modest salary), and as they get better and older, then you can start selling these players abroad. And then the league can make money. KS: Would you be willing to sit down with the Cosmos if they requested your input? ADB: Absolutely. I wish MLS would have included or incorporated some of those people that were involved in some of those NASL teams of the past. Locally, we have one person that is involved with the Fire, Frank Klopas. Apart from him, there don’t appear to be any NASL people involved with this league. And I think the league wants it that way. But to me I think it makes sense for the Cosmos to bring some of these names backs maybe to train some of their developmental teams (Interviewer's Note: the Cosmos name has been attached to a youth academy in the New York area for some time since the original team folded). So you can connect the past with the present. KS: Do you think they intentionally don’t want to reconnect because the NASL went out on such a bad note, and because the business plan of MLS is so entirely different from what they were doing in the NASL? ADB: I can’t answer that. That would be a question for the league. But I think that in NY, it would be a good thing to get these people involved. I know that the players want to do it, I’ve talked to them, but if they’re not approached, well… Same thing with Chinaglia. He’s down in Florida. They brought him in for a press conference, as a figure again, and that was it. Let’s connect them. Let’s get their opinion. Get them on the radio, on TV, doing commentary, something. So there’s a connection between past and present. KS: So let’s get to a discussion of your playing days with some of these greats that you’ve brought up. What did you enjoy more: playing with them and the experiences on the field, or the relationships and getting to know them off the field? ADB: I enjoyed both. I enjoyed all of it, from the soccer standpoint, it was great to be able to train and play, compete, and have fun with some of the best players that ever played the game. And again, in addition to the others I’ve mentioned, there was Carlos Alberto, Roberto Cabanas, Julio Cesar Romero, (Francois) Van der Elst (1980 European player of the year), Wim Rijsbergen, Seninho, all national team players at one time or another, that have played in World Cups. I could not have had a better school. Those players, I learned from them more than any coach. Their personality, how they wanted to have fun when it’s time to train, but how serious they got when it was time to compete, because they played to win, but trained to have fun and get better. They were very talented, the best in the business at their position so it was like going to school every day. 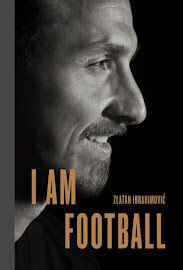 KS: Acknowledging that you were born in Argentina and only a naturalized American citizen—did they still recognize your importance as an American player, to the league, and how you had developed in a country that was still fairly new to soccer? Did they respect your “game”? ADB: This is going to be my ego talking a little bit (smiles impishly). I want to say that I earned their respect for what I did in practice and in games. Obviously, one of the advantages that I had was that when I moved to the States I was already 16, so my foundation in soccer was not acquired in the States but in Argentina. Granted, when I came over, I went through the process of the high school and college scene, got drafted from Indiana and then went to the pros. But I think they knew somehow I was somewhat different. They knew I was American because of my citizenship and I went through the college scene, but I think they knew “He’s not a typical American player.” Same with Chico Borja, he was a kid born in Ecuador. He was in the same situation as I was, he came here when he was 14. So he learned the foundation of the game in South America. But the positive comments that I’ve gotten through the course of those years that I played, from different players, Rijsbergen, Bogie, they meant a lot to me. Neeskens was just another guy in the group. He was never really above anyone else. He was a team player. So I had a good relationship with him, it was more buddy-buddy so to speak. With the others, there was respect. Pele’ would take me aside and say this or that, but all of them would talk to the younger players. When Pele’ came into the room, I would bow and I would say “O Rey” meaning “The King”. He did not like that, he said “Don’t say that.” But that was the respect that I had for him. Because when I was growing up as a little kid, all you saw and heard was Pele’, Pele’, Pele’. Somebody that you idolize, so how can you not pay that respect? So all in all, it was a great experience. KS: Regrets that the league folded when it did? ADB: Absolutely. It was a sad day. But we saw it coming. The number of teams was dwindling down. KS: Growing up, the league was in its heyday during my early teenage years. I was a huge fan of the Chicago Sting, and when we finally beat the Cosmos, everyone’s nemesis, for the title, that was probably the happiest day of my soccer-related life, probably still is. But I couldn’t help respect the team, and I knew that winning doesn’t mean anything unless you recognize who it is that you’ve beaten. ADB: Exactly, and to use an analogy it’s the same thing as everyone wanting to beat the Chicago Bulls when Michael Jordan was playing. Or everyone still wants to beat the Yankees because of the tradition. So yeah, I sympathize with that. But we looked at it in a different way. We took it as a challenge not to allow anybody else to be what we were. So every year was a challenge, every game was a final. Because the other teams, it would have (made) their season. For us, it was another test. KS: There’s no pressure in losing yet another game to the Cosmos. KS: Are you in contact with any old Sting players who have settled in the (Chicago) area? ADB: There are a number of players who played college ball with me. Rudy Glenn, who was my roommate in college. Charlie Fajkus, who was also my roommate. Mark Simanton who lives in Chicago. Bret Hall, I see once in a while. Pato Margetic, we’re friends, we’re not in touch as much because he’s in Detroit, but we did play together indoors with the Kansas City Comets. And he’s from Argentina, so we have some mutual friends. (Former Sting head coach) Willy Roy I see once in a while. KS: We know you grew up in Argentina and came here at 16. Was there really very much that you could still learn about soccer in an American high school or college program? ADB: Well, you’re training every day, you play. But education was very important to me as it is today as a high school teacher and coach. Would I have done it any differently? If I only wanted to be a soccer player, probably the college route that I took was not the ideal one to take back then. I think the college game has gotten better, they prepare their players better. But still, it’s not like you’re playing in a professional scene like in Europe or S. America being trained by the best coaches from a very early age. And you do that on a daily basis. It’s funny, because I have seen changes throughout S. America, not only are they expected to train at the youth level, but now they are expected to go to school in the evenings. So they are more educated. It’s not like with Maradona, just to give you an example, he was just 100% soccer. He did not want to go to school, so he did not. Now the kids do go to school, and the clubs are paying for that. So, it’s a good thing. KS: The NCAA has so many restrictions on the number of practices, the number of games, what you can and can’t do in the off-season. Were things this way when you were at Indiana? ADB: Yes, but it was, and is, that way with all sports. The NCAA should work more closely with ODP because those restrictions are hampering our development. The restrictions in all sports, really, are just killing us. The US isn’t as dominant in all sports as they used to be. So something is wrong. KS: Tell us about your opportunities to play abroad. ADB: They came after college, with the Olympic team, the National team and with the Cosmos. It just happened that at that time, the Olympic and National teams had our own tours, before the (NASL) season and after the season, and we had our international games during the season. And with the Cosmos we used to have a preseason tour, in South America for the most part. Then in the postseason, sometimes we went to Europe, sometimes to Asia, or Australia, New Zealand. So yeah, it gave me an opportunity to be exposed to the international scene. The Cosmos also used to host the Trans-Atlantic Cup where (3) teams would come from overseas for 2-3 weeks. KS: Did you get interest from foreign clubs when you toured? ADB: I did not. If I did, if anybody showed any interest, the club never really shared it with me. I remember that towards the end of the Cosmos, I did mention it to Pepe’ Pinton, he was our last GM and he had connections in Italy. He was very good friends with Giorgio Chinaglia. I said to those guys that I’m considered to be an Italian citizen because my parents were Italian. So it wouldn’t be an issue of a non-Italian taking up a foreign player roster spot, because that wasn’t the case. So I mentioned that I wanted to take shot at playing in the 2nd division of Italy and see how it went, but of course 6 months later the NASL folded. But realistically it would have been too late by then. I should have done it earlier when I had just gotten to the Cosmos, say age 22. But they never told me of any interest. With some other young players they did do that. Like Ricky Davis, Dave Brcic. They did get them to train in Europe during the winter months. They never sent me, but I was also quite busy with other things. KS: Who have you learned the most from as a player, and who influenced your coaching the most? ADB: Johan Cruyff influenced me the most. And that was only one season, my only season with Los Angeles (Aztecs). He was with us 6 ½ months, and every day I would go there it was a lesson. Watching him playing, he would be pointing everywhere. He was the conductor of the orchestra, he would tell you what to do without the ball, where to go, while he had the ball. Because he would see the space, and if you were “here” you were watching him play….now, “I don’t need you to watch me, I need you to move.” So he was two or three steps ahead of the game. And I paid very close attention to that. It took me a while to figure it out. The first day he showed up, we had a game against Rochester. He’s flying in from Barcelona, because he was 6 months away from the game. That was after he retired the first time. He retired, of course he was very tight with (Aztecs head coach) Rinus Michels. They were in business together, representing players, other things. So we are having the pregame meal in the hotel. We knew that he was coming, and we thought he was going to be at the morning practice, but he wasn’t there. As we’re walking out of the meal, they introduce him. Of course, he had already talked to Michels, so I’m walking out and I feel a hand on my shoulder. I turn around and Cruyff says “Angelo, when I have the ball ‘here’, you just go.” And of course, I know who he is, he’s the second best to Pele’ so that stuck with me. So here I am, during the game, waiting for him to get the ball in that situation. And it happened. As soon as I saw it, I went. He hits the ball with his left foot, he puts it right on my shoelaces. This is a 50, 60 yard pass. So here I’m in on a breakaway. And I miss (looks incredulous). But we had never met, never had a conversation, and this happens. So he is a teacher. I took him as a teacher. I said, whatever he says, goes. I have to do it. He would talk to me, to all of us. This, that, find the open space. One thing, he was always ticked off at me because I could never cross the ball the proper way. Because with the national team, we always crossed the ball with the instep, driven to the near post. No Angelo, bend the ball! So he would stay with me after practice, and I would take it and bend it. And I got better at it. And that’s how I learned. Rinus Michels... Somewhat of a disappointment. Because he didn’t take the time to teach us, tell us, and pull us aside, one on one, to really say what he wanted. Tactically, magic. Some of the drills he did, I liked and I still do them. Then after him, I went to the Cosmos. My next coach was a Brazilian, Professor Mazzei. I had him twice. And here’s the Brazilian game. But in NY I learned from all the players, because again, maybe I was a student of the game. I would watch Beckenbauer, because he was another one like Cruyff, not as much, but he would tell you what to do and not do. 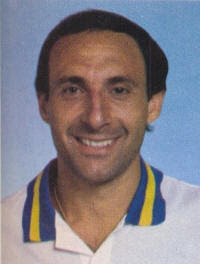 Others also, Neeskens, he could play tough, physical, but he could also use his skills. Wim Rijsbergen was all heart, he didn’t have the skills that either of the Johans had. So from the mental aspect of the game, on how hard you had to train, he was probably my best teacher. Then there were Cabanas and Romero, very young players and what I learned from them was how composed they were at that age. I was 23, they were 19 and 20, and I said to myself “why don’t they rush things?” So I learned how to be composed under pressure, so they helped me too. And then Walt Chyzowych, an American coach for the national team and Olympic team. I learned from him. The only fault he had was he knew how limited we were, and he thought that the only chance we had to be successful, was to play man-to-man all over the field. Well guess what, the European teams were not stupid. We played France at the Meadowlands in 1979 after their very good World Cup in Argentina….Michel Platini, (Marius) Tresor, (Didier) Deschamps, Didier Six, (Bernard) Lacombe, big time players. They come to NY….well, ten minutes into the game we’re losing 3-0. Every time Tresor got the ball, they figured out within two minutes, we’re playing man to man, everybody’s spread out, Tresor has the ball….free man…sweeper…he would go all the way into our box to meet our sweeper, because everybody else was busy chasing their man. So finally Walt says, I don’t think we can play man on man with these guys. So let’s go out there and try to play zone. Well we never played zone before, ok? But he dealt with what he had. From getting us ready, fitness, drills, this and that, very good. There’s another gentleman by the name of Manny Schellsheidt out of New Jersey. Born in Germany. He’s always worked with the Federation at the youth levels. He was a college coach in NJ as well. I learned from him, he was very good with drills, good in getting the team ready to play, tactically how to read the game, how to shift. But really, my best teachers were the players themselves. KS: What was your first experience in coaching? ADB: It was actually in 1987/88 in the AISA (American Indoor Soccer Association) with the Fort Wayne Flames. And we were slow starters. I didn’t know the league or the players, but we progressed. The one thing that helped me tremendously that year was that I listened to the players’ ideas and tried to implement them, not all but a lot of them. Am I using you the right way? Would you be more effective somewhere else? So the story goes like this. We were 1-9 in our first ten games. And we were losing some games that were heartbreakers. But one thing I was able to do was convince them we were in every game, and we just had to keep working. And instead of adding more drills, I started to do less, for a longer period of time. And we became better at those things. Well, the last (11) games we were 8-3 [in the playoffs; the league had a round-robin playoff format called the Challenge Cup]. I had kept telling them, I don’t know when it’s going to happen but we’re going to turn things around. And I was happy we made that progress, more for them than for me [the Flames lost 5-4 in the final to the Canton Invaders]. At the end of that season I had the opportunity to go back to Indiana with all the education paid. And since I had left a semester early, I decided to go back and finish my education. It was 1988, when Indiana won another national championship. I was a volunteer assistant coach with coach (Jerry) Yeagley. And then I came to Waubonsie Valley HS, where I have coached the girls, boys, and taught high school. I never coached ODP, because I don’t like the politics of it. I think a lot of really good players are left out because they don’t fit someone’s “likes”. I think it’s happened to a lot of kids in this area. I don’t put too much weight on size, I do put weight on skills and reading the game, more than speed and toughness. And I have lost many games, with the HS and the club, because of my insistence and stubbornness about how to play. I don’t want my centerback kicking the ball 50 yards out of the back. No, we come out playing. That’s the way it’s supposed to be done. Sometimes I’m my own worst enemy (laughs). I’m not interested in scores. But I can afford to do that, because I have this background. Our discussion of Angelo’s experiences as player and coach now concluded, we retired to his office for a discussion on the present state of soccer in America. Angelo’s comments can be found in part 2 of my interview. Following up on part 1 of my interview with Angelo DiBernardo, I asked him for his take on the present status of the game in this country. KS: On to a discussion of the current state of our national program. I like what your former LA Aztec teammate, Thomas Rongen, is doing with the U20 USMNT. He seems to be scouting American players that never went to college but went overseas to train, or stayed in college a couple years and then went over. Half of his team is comprised of this type of “reclaimed” player. Do you think he’s onto something, that this is the route we should be taking even at the highest level? ADB: (What he’s doing) is the fast way to get things done. But if he’s doing that to recruit these players to come and play because all they want to do is be professional soccer players, and perhaps they are the best that we have…ok that’s fine, (it helps us) to compete against the other countries, but what I don’t like, it seems to me that we are trying to avoid the development. We want these other countries to develop our players, and then we go and pick them because they’re already developed. Why don’t we develop them ourselves? KS: I think what he’s coming up against is the fact that US Soccer has this Best Practices document that is now four years old, but from my experience with my U11 daughter, I know she’s not really being taught footskills, it’s largely team-oriented tactical drills where the touches only come within the context of those drills. So maybe Rongen has finally said “You’re not sending me enough skilled players so I’ve got to go find them, players that have the skills because they left in search of programs that value that as opposed to winning.” And where are those players being trained? Overseas. So hopefully US Soccer will respond to this and finally following through on their own Best Practices. But until then, how do we address it? ADB: Obviously the dollars dictate what’s going to be done. The bulk of the dollars ought to be going into the development of the players. You’ve got to develop a scouting system, where coaches around the country can identify talents like Messi, Pedro, Giovanni Dos Santos, as examples. They are there, and they are here, but nobody scouts them, identifies them, and then brings them down to the (Bradenton) Academy in Florida, send them to school, build them up. So the money should be put there. How do you think Barcelona got to be as good as they are? Anybody that comes up at 18, 19, 20 is as good as the guy that’s already there. Now they’ve got this new kid from Holland, Ibrahim Afellay. Someone identified him, and he’s just as good as anyone on that team. KS: Here’s what I see. There IS a lot of money in youth soccer in this country, maybe too much, especially in ODP. But the mentality is that we’re so concerned with winning. And how do Americans win at a game we really don’t understand? We use our big, fast athletes and our fighting American spirit. But we do have talent in this country, and since my daughter plays and is part of the big picture, let’s look at the women’s side. Why is someone like your daughter Vanessa (three-time Illinois high school state champion, 2010 National All-Freshman Team at Illinois) no longer in our national team player pool? She’s everything I think we are missing, and she has developed almost in spite of the system. How do you explain that? ADB: She’s a talented player, she reads the game well, she’s got great skill, she can play both ways, she understands the game. She had the heart and desire to develop, and without that it wouldn’t have happened. I can take some credit for showing her how things were done, tell her how and when to do certain things, and move without the ball into open spaces and all that stuff, and how to read and anticipate instead of react. But I gave her an opportunity to play at the highest level possible from a very early age. So she had two things: good training and constant challenge at the highest level. So why is she not in the pool, I cannot answer these things. I would have a player like that on my team. I would have a player like (former Waubonsie Valley HS standout and West Virginia sophomore) Bri Rodriguez on my team. Neither one is there right now. If the call comes, she’ll welcome it, if it doesn’t, it doesn’t. She’s having fun, she likes the game, she plays it with love. Is that one of her goals, say, to play in the Olympics, in the World Cup? Yes it is. But if she doesn’t accomplish that for whatever reason….she’s not in control of it. The only thing she can do is play well and continue to make progress. That’s the extent of what she can do. KS: Have they told her what they don’t see in her that they would need to see? ADB: I think that when you invite certain players to regional or national pools and you evaluate them. If you brought them there, there must have been a reason. Someone must have said to look at this player, or you as the coach of that group or age you saw something there and you invited them to see whether they can show it on a regular basis, that’s why you have these week-long training sessions. Well, I think you’ve got to give those players feedback. You can’t just invite them, once or twice, and then the players never hear from you. There was no feedback whatsoever. Well obviously you were not good enough for that particular coach or pool of coaches. But what is it that did not make you be one of the picks, what is it that you need to continue to work on, so that next time you are invited you can be better at it. There was no communication of that. Through the grapevine the only feedback that we got, it wasn’t direct, was that she didn’t have the size. My response to that is: neither did Maradona, neither did Pele’!! So what I’m saying is, if you continue to look at size, it’s like some years ago, there was a little guy playing for the Atlanta Hawks, 5’7”, named Spud Webb. My point is that there was an exception, and US Soccer is looking at these big players, robotic, that aren’t really going to get you anywhere because the little ones, again the Japanese, South and North Koreans, they’re doing all this stuff with the ball. And the Brazilians always have. And they make you look like an idiot. KS: Do you feel US Soccer is saying one thing with their Best Practices, but doing another? In other words, they've just appointed two technical directors for the women's youth levels, but Vanessa has been in the pool at one time, (the program has) seen her, she's the kind of technical player they say they now want, but instead they still ignore her. So where is the disconnect? Why does US Soccer seem to contradict themselves on what they now claim is so important to them? ADB: I think that the disconnect is that perhaps the program’s head coach (Pia Sundhage) is not getting the message through on what kinds of player she wants and how she wants them to play. Also, I don’t think that the Federation has a style of game that they want to play. They are too concerned about winning. I’m not concerned about winning. I want to play like the Brazilian girls play. I want to play like the South Koreans, the Japanese, but she’s talking about winning. Everybody seems to be catching up to us, passing us. Neither Japan or South Korea have very tall players, very fast players, very physical players, they’re all short, skillful, and they’re magic players. And they’re fun to watch. We’re the opposite. A lot of college coaches always look to have very tall players, fast players, physical players down the middle of the field. So they can win the ball in the air. But of course, the ball is in the air more than it’s on the ground, and we’ve got that wrong too, don’t we? I would also fault our society on some of these problems. Because I see around here, a lot of people want to go these big clubs….let’s be honest…when you look at most of these clubs, the coaches for youth development, give me one or two names that have played at a very high level and can translate what they have learned to those kids? So that’s a problem. And the other problem, you have parents on the sidelines that are going crazy “Boot the ball, kick it out, kick it up!” So the kids that are playing are confused. And if they don’t win, the parents get angry at the coach. It gets in the way of developing. The clear message should be that the referee should have the power to kick these parents off the sideline. And then there’s got to be a message from the top of the club to the bottom, about what kind of style do we want to teach, and what kind of players do we want to develop. Everybody should develop a No. 10. Everybody should develop two good center backs with skill, who can play the ball out of the back. And the ball is round. Not just someone to head the ball out. If you don’t get direction from the top…perhaps the direction is there, but at lower levels something is not happening. KS: I know exactly the kind of parent you’re talking about because make up 95% of every club out there. But I’ll give you interesting anecdote that inverts this notion and reinforces the other problem. Like you I value developing my daughter’s technical skill, because that, to me, is the game. I don’t see the game from an American mindset. Well, a couple weeks ago she had a game and happened to clear a ball that could and should have been brought down skillfully. I yelled “settle it, don’t clear”, and was immediately shouted down by the coach with the exact opposite instruction. So that will give you an example of what the American coaching mentality is, they want that ball cleared so we don’t give up a goal, the other screaming parents are kept happy, and he keeps his job. ADB: Yeah, exactly. I hope I’m wrong, but it’s a losing fight. But it’s not just here. It’s now a global issue. The new Argentine national team coach is proposing more ball work for the players at a very early age. He’s saying the same thing we’re saying. We play tactically this way, we’ve been doing it for years, everyone knows how we play, but apart from Messi, who have we developed since Maradona? You can say maybe (Carlos) Tevez, (Sergio) Aguero. But certainly they don’t compare to the other two. So he’s saying we need more players like that. And let’s stay out of the weight room and work more on the skills that we used to develop. We’re also becoming robotic. He likes to see players like Ronaldinho and Robinho. But that’s just his preference. The other thing that is hurting the game in Argentina is that back in the day, even when I was back there, you could find a piece of land, and you would play. Now every piece of land is a nice little park. So those pieces of land, where you would play soccer like you would play basketball in the ghetto, are gone. So if you want to go and play somewhere, as kids, you have to go and rent a space. And the money is not there for everyone to do that, to go have fun. And unfortunately that’s creating a problem for Argentina. I’m not sure how it is in Brazil, but granted Brazil has 120M people, we only have 40M. KS: The USWNT just lost a very good player to Mexico, Teresa Noyola. She came out in the press and basically said US Soccer had told her she wasn’t their kind of player, that she didn’t like the style of American soccer anyway, and she would rather play a skill-based style, so she used her Mexican heritage to join the Mexican national team. Well, who recently beat us for the first time? Mexico. Does Vanessa by any chance have dual citizenship? ADB: Well, that’s just what (former local high school star) Leah Fortune did. She went to play for Brazil, though she was born in Brazil. Vanessa was born here. But it’s something that would have to be investigated. It would be a tough sell for her, she’s very close to her friends, and only speaks a little Spanish, but I did take her down there around four years ago, and she liked it. We played some pickup games, and we went to places and played 5v5 sala (indoor soccer). So she did that, and she enjoyed that, she always wants to go back. And actually, she did play with a couple kids that were on the Argentina national team. So she got to see them, she recognized those kids during the last World Cup qualifying. We are going to drive to New York on March 26th, because the US is playing Argentina, and I want her to be exposed to the euphoria of the Argentine fans and the game itself. But she’s never gone to a stadium to watch a professional game or the national team. And I’m going to visit some of my former teammates in the area. So she likes the scene and the exposure to the game and she sees that as part of growing. She’s going there to experience what I’ve been telling her all along. When you go to games here, there is no feeling. So it all starts with a philosophy—where does the Federation want to go? And then go get the coaches so that you can say the US is “this” type of team. Everyone knows how the Brazilians play, how the Argentines play, how the old Yugoslavia played, how the Italians play, how the Portuguese play. Now we know how Barcelona plays, and the Spanish national team. KS: And that, in my opinion, is why Spain finally won the World Cup. They played with half of Barca’s players, they played the Barca style and system, which is essentially a Dutch system, but with more individual flair. It gave Spain a structure that maybe they never quite had before, but it allowed their individual talents to come together. ADB: Exactly. And Johan Cruyff is behind all of that. KS: Explain in more detail your take on Barca’s success. ADB: Johan Cruyff took over that program in the late 80’s if I’m not mistaken. And (current Barcelona coach) Pep Guardiola played for him. Before becoming head coach, Pep was with the youth development program for a number of years, so he knows all these current Barca players. There are many things Barcelona does well. They’re all built basically the same way. Just as fast, just as quick, just as skillful. What they do better than anybody else, is that they anticipate and move off the ball to the right place, and they’re precise with their passes. They are a machine. KS: And that can be taught, as long as you have an acceptable skill level. ADB: It can be taught, but these kids started to learn the system when they were 10 years old. When Messi went to Barcelona, he was 10, 12 years old. That’s when they identified him, and the club paid for him and his family to move to Spain. And he had a physical problem (growth hormone deficiency) that they paid for to get treated. River Plate could have gotten him at the same age, but they said no because of the physical problem, and they were not willing to pay for his treatment. Barca said, let’s bring him over here. And now you see all these other clubs not only looking for talent in their own country, but they’re looking abroad as well. KS: Thank you Angelo for your time today. I believe you are a valuable resource for the development of the game in this country, and I appreciate you taking the time to share your thoughts and passion with us. ADB: You’re welcome. Before we finish, I would like to say one last thing. The reason I’m still involved in soccer is because of these kids (motioning toward the field). There’s nothing like watching a young player who a couple weeks ago couldn’t even really dribble a ball, now they’re trying a pullback or making a nice pass. This is what motivates me. Spoken like a true champion. By Ken Sweda © 2011. All rights reserved. Ken Sweda was born and raised in the Chicago area. He played soccer in his youth after being introduced to the sport through Dutch cousins in 1974. Ken now runs his own private skills training business called Precision Soccer Skills LLC. He has two young daughters that are following in his footsteps by playing the beautiful game themselves. Ken also writes freelance soccer articles and is currently affiliated with Soccerpro.com. He is also available for direct assignments as well. You can follow Ken @soccercynic47 on Twitter. As always, many thanks to Steve Amoia @worldfootballcm for the forum, guidance, support and opportunity to publish my thoughts. Images courtesy of Angelo DiBernardo. Our friends at SoccerPro have the new 2011 New York Cosmos Home Shirt. Thank you for the excellent effort on this interview. Mr. DiBernardo has a unique soccer background. Reading this brought back many great memories of the NASL. What we need again in the US is a European and South American resurgence of veteran players and coaches to guide our young professionals and youth correctly. As Angelo said, Cruyff, Pele, Beckenbauer all brought their methods to the NASL and taught a country of young professionals how "The Beautiful Game" should be played. Our country needs more Ken Swedas' and DiBernardos' willing to teach the skills needed to approach the US game with a different set of tools. Then eventually the federation will have to take their blinders off.